FASI is comprised of employers who self-fund some aspect of their insurance program, or are engaged in a profession or business related to self-funding. FASI was formed in 1969 by individual and group self-insurers to promote and maintain a healthy environment for self insurance. The self insured may be private and public companies as well as public entities such as cities and counties in Florida. 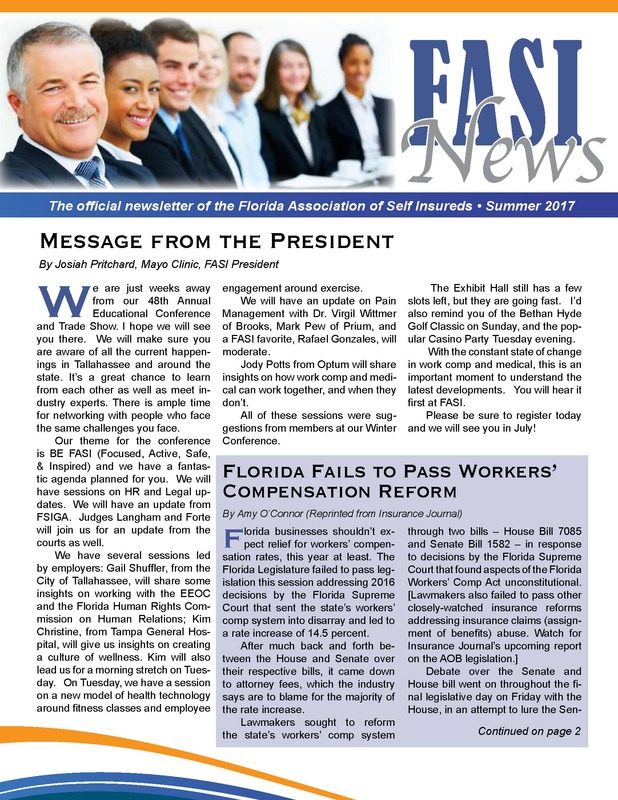 Over the years FASI has been instrumental in influencing Workers’ Compensation reform in Florida. 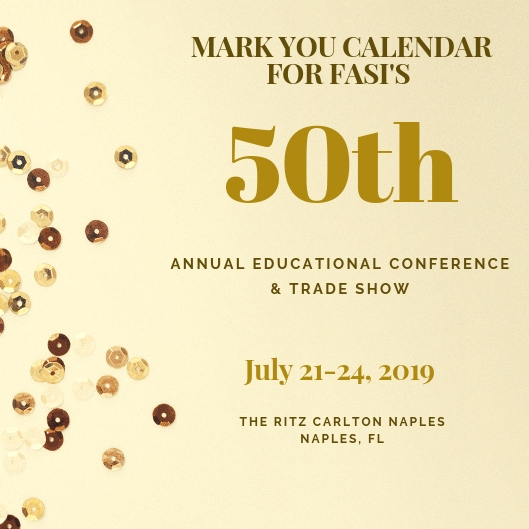 FASI’s purpose is to educate members, offer networking opportunities, and to be a voice for the Florida self insured market for all lines of coverage including Workers’ Compensation, Health Insurance, all Liability lines, Property, and Auto. Keep current on legislative happenings and influence legislation in Tallahassee. Network with people facing the same problems you face. Develop relationships with regulatory personnel in Tallahassee.